Wrightsville Beach has completed the first step towards being issued a specialty license with the town’s seal, as more than 300 people had placed orders by last Friday’s deadline. And those that still wish to order have two days, until the town stops accepting them on Friday, Feb. 8 at 5 p.m. The 300-order threshold by Feb. 1 was part of the requirement for the town to qualify for a Wrightsville Beach specialty license plate, with 311 coming in by last Friday. Recreation Program Supervisor Katie Ryan said that as of Wednesday, the town had 330 orders. The town is charging $10 for the plates, the proceeds of which will go back to the town’s treasury. Members of the town’s board of aldermen said the plates would help bring more statewide notoriety and recognition to Wrightsville Beach. “Whether you’re in Asheville or Raleigh or Greensboro or anywhere in the state, you’ll be able to show everyone you represent Wrightsville Beach,” Alderman Ken Dull said. The proposed design for Wrightsville Beach specialty license plates. The license plate will feature a four-number configuration with the letters “WB” on the right and the town’s logo on the left. Purchasers can choose from the “First in Flight” or “First in Freedom” design. 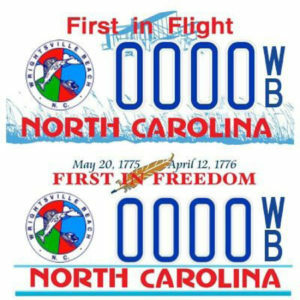 After the upcoming Friday deadline, those interested in buying the specialty plates will have to buy them through the North Carolina Department of Motor Vehicles, which won’t make them available until it formally approves the plates. Ryan stressed the Friday deadline could be the last opportunity for residents to purchase the plates for a while. Once the deadline expires, town officials will send the application to the DMV, which will then submit the request to the general assembly. 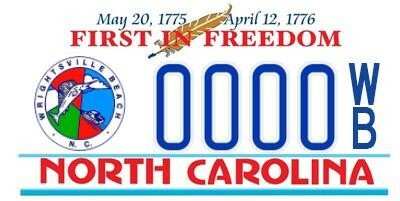 The NCDMV will issues license plates within 180 days of approval by the general assembly. Wrightsville Beach state Rep. Ted Davis, R, would likely sponsor the legislation, town officials said. 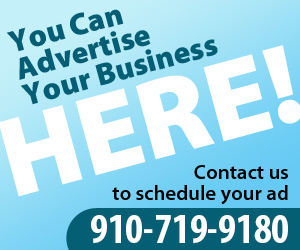 Applications can be mailed to the town’s park office at PO Box 626, Wrightsville Beach, NC 28480 with a check or money order made payable to the Town of Wrightsville Beach or it may drop it off at the park office, where it can be paid through credit card. The park office is located behind Town Hall in the side room of the Recreation Center (enter underneath the awning). Applications will be processed in the order in which they are received.